UNIQUE. 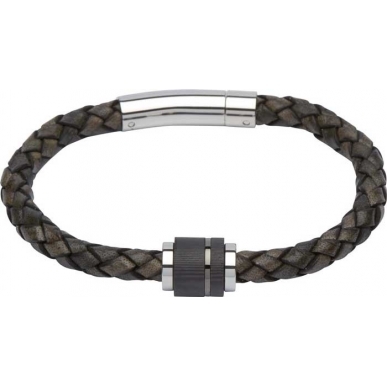 Antique dark brown plaited leather bracelet. 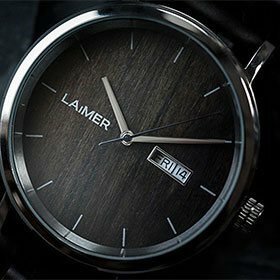 Steel and carbon fibre elements with gunmetal and rose gold IP-plating. IP-plated black Steel pusher clasp.